MEDITATION is nothing but the art of opening your eyes, the art of cleansing your eyes, the art of dropping the dust that is gathered on the mirror of your consciousness. It is natural – dust gathers. Man has been travelling and travelling for thousands of lives – dust gathers. We are all travellers, much dust has gathered – so much so that the mirror has completely disappeared. There is only dust upon dust, layers and layers of dust and you cannot see the mirror. But the mirror is still there – it cannot be lost because it is your very nature. If it can be lost then it cannot be your nature. It is not that you have a mirror; you are the mirror. The traveller is the mirror. He cannot lose it, he can only forget it – at the most, forgetfulness. The existential moment is right now. 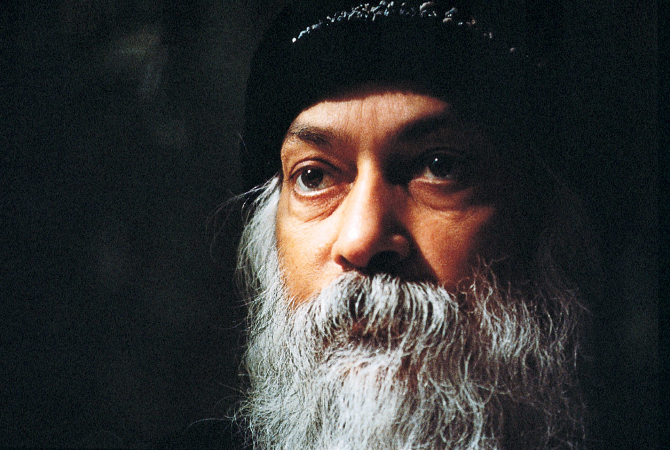 Just have a look, and that is meditation – that look is meditation. Just seeing the facticity of a certain thing, of a certain state, is meditation. Meditation has no motive, hence there is no centre to it. And because there is no motive and no centre, there is no self in it. You don’t function from a centre, in meditation, you act out of nothingness. The response out of nothingness is what meditation is all about. Mind concentrated acts out of the past. Meditation acts in the present, out of the present. It is a pure response to the present, it is not reaction. It acts not out of conclusions, it acts seeing the existential.